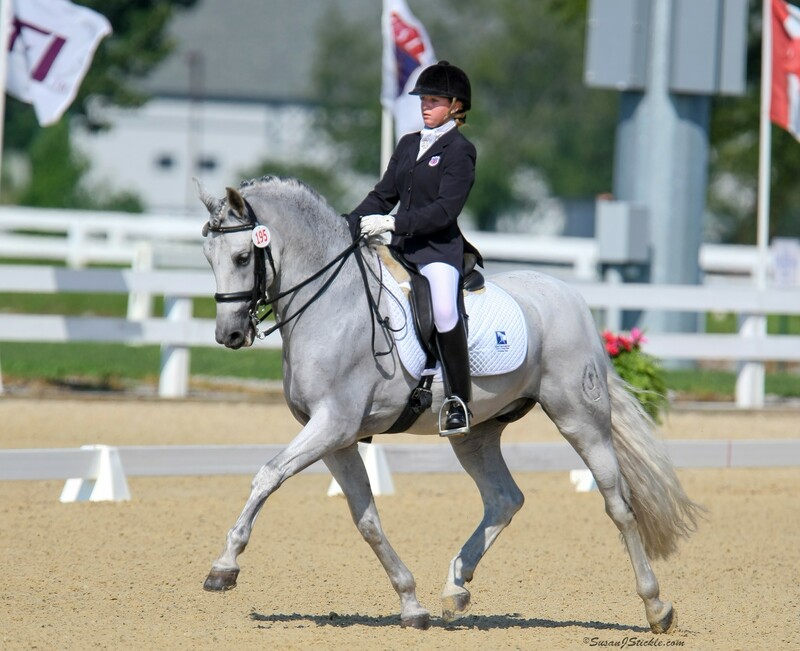 Thanks in a large part to The Dressage Foundation; Centered Riding is now a mainstay here in Alaska. In 2015, 2016, and 2017, funding in the form of grants from the Sally Swift Memorial Fund, enabled us to host several CR clinics. In 2015, Level Four instructor Susan Harris kicked things off by doing two three-day clinics and an anatomy in Motion demonstration. 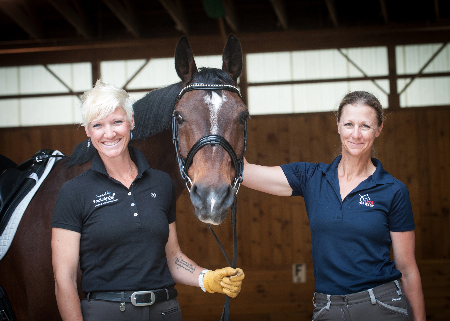 In 2016, Level Four instructors Deb Moynihan and Karen Irland did two-day clinics. In addition, this past spring Susan Harris and Centered Riding Level Four instructor/President Peggy Brown conducted two clinics apiece. Susan taught a two-day western dressage clinic and a trail obstacle course, and Peggy taught a two-day Centered Jumping and a three-day equitation clinic. They also did a combined Anatomy in Motion clinic. The latter was attended by over 60 adults and children, riders and non-riders alike. The above-noted clinics were the culmination of months of planning and hard work on the part of many individuals, including Saddle Up Equestrian Park arena owners and my husband Pete Praetorius. However, the time spent preparing for them was well worth it. I’d hoped from the onset to familiarize local trail riders with the basics of Centered Riding as articulated by Centered Riding founder, Sally Swift. These are the concepts of breathing, centering, soft eyes, and alignment, followed by grounding and clear intent. I’d then share this common language with other riders both in the arena and trail setting. A three-day NATRC Competitive Trail Ride is held in Southcentral and Interior Alaska in alternating years. There are novice, competitive pleasure, and open divisions. The novice class is a one-day event, and the others are two days. Riders are judged on their camping and horsemanship abilities as well as the condition of their animals. They ride a pre-determined distance and must finish in a certain amount of time. As impressive as this was, the fact that Deb brought four young riders with her – one of whom was 12-year old Kailynn Beauvais. Beauvais took first in the junior novice division. The two-time Centered Riding clinic attendee rode Teddy, a willful Icelandic gelding. As Beauvais accepted her trophy I recalled watching her ride in Harris’s Trail Obstacle class. By the end of the second day the pair were going over poles, across bridges, and through a scary corridor. There was also additional cause for celebration for Deb’s other three riders placed second, third, and fourth in the Junior Novice Division. Additionally, Centered Riding attendee Cath Halley placed in the Open Division and Claudia Sihler, and Heather Ashe placed in the Competitive Pleasure Division. Verified again -- the best clinics are those in which attendees are later able to put theory to practice. And Centered Riding, with a decided focus on the basics lends itself to this. 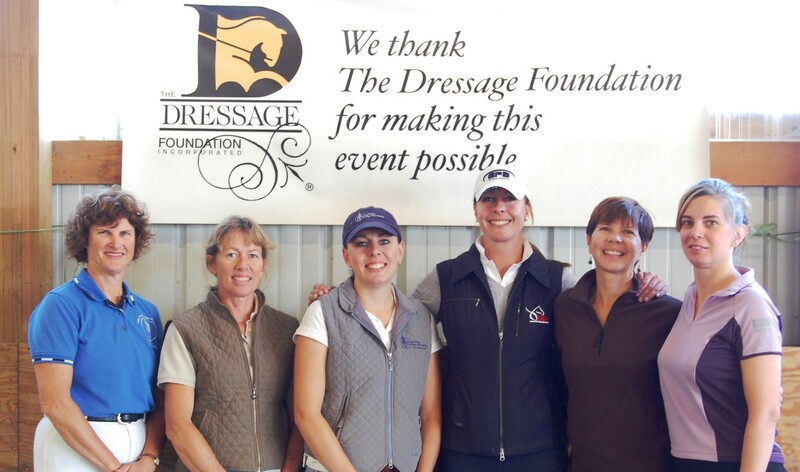 Thanks again to the Dressage Foundation for assisting in bringing Centered Riding to Alaska.